Michela Gelfusa has a significant track record in both energetic (nuclear fusion) and the environmental sciences. With regard to nuclear fusion she has been collaborating continuously with the Joint European Torus (JET), the largest Tokamak in the world, since the year 2008. In the framework of this collaboration she has contributed significantly to both experimental measurements and data analysis. Her responsibilities in this field have implied numerous visits to JET, based on various contracts with European Commission (Jul-Dec 2013, Sept-Dec 2012, 16 Apr - 29 Jun 2012, 9 Jan - 04 Apr 2012, 5 Dec - 16 Dec 2011, 7 Oct - 25 Nov 2011, 11 Jul - 29 Jul 2011, 01 Jun - 30 Oct 2009, 02 Feb - 03 Apr 2009, 23 Nov - 24 Dec 2008). Michela Gelfusa has also been responsible of a specific contract to upgrade one of the most complicated JET diagnostics (EP2-RTM Diagnostic Enhancement Project (JW 10-OPE-ENEA-90)). An essential ingredient in the collaboration with JET has been the application of symbolic regression via genetic programming to various physical problems of general interest for the Tokamak community. In particular, very interesting results have been obtained in the study of the scaling laws for the energy confinement time and the power access to the H-mode. During her visits to JET, Michela Gelfusa has also supervised various students of various academic levels (master, PhD) and of various nationalities (Italian, French, and Spanish). She has also been a member of the PhD board of a Spanish student at UNED University in Madrid. With regard to environmental sciences, she has been developing instrumentations for the remote sensing of the atmosphere since her bachelor degree. These activities have been consolidated during her phd work with interesting results particularly in the field of laser based detection of forest fires and pollutants. The systems and the techniques have found both military and civil applications. One of the developed system (called SAI) has been successfully presented in a public demonstration which took place on July 8, 2008 in Canneto within the National Park of Lazio, Abruzzo and Molise. The system and the results are fully described in her doctoral thesis. The results of this reasearch have been divulgated to the scientific community in 7 oral communications in international conferences. Also in this field, Michela Gelfusa started to develop new data analisys techiques for both the automatic interoretation of the experimental signals and the phisical interpretation of large databases. These activities have required the supervision of vaious students at both the master and PhD levels. Dr. Peluso won the Italian Embassy fellowship for an internship at the European Laboratory for Nuclear Fusion EFDA-JET, Culham Science Centre, in 2011; visiting scientist at JET (Joint European Torus, Culham Science Centre) in different periods during the experimental campaigns C31-C33-C34-C36-C36b-C37 and during the JET Analysis and Modelling Campaign in 2017, has scored more than one year of work abroad in multidisciplinary, international and scientific environments. 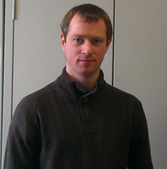 At the moment he is also an active collaborator in ITER related specific tasks. His work deals with the application of advanced statistical tools on magnetically controlled nuclear fusion data, e.g Symbolic Regression via Genetic Programming and machine learning tools; data mining of huge databases is a consequent field of study. Avoidance and mitigation of disruptions, confinement time in TOKAMAKS, L-H transition studies and Bolometry reconstructions are his actual main topics of research that are carried on in collaboration with Italian and European researchers, including the CIEMAT (Spain) and the NILPRP (Romania). Michele Lungaroni was born in Orvieto (TR) on April, 27th 1987. He is a PhD student in the Department of Industrial Engineering at the University of Rome Tor Vergata, where he graduated in October of 2014 in Energy and Nuclear Engineering. Since November 2014, he carries out research activities in the working group QEP, Quantum Electronics and Plasma, where he works on data analysis of the Tokamak machines for Nuclear Fusion and on data acquired by LIDAR/DIAR experiments. The major activities is focuses on Nuclear Funsion Machine, for the identification of mathematical models for the interpretation of experimental data relating to: Energy confinement time in Tokamak machines, identification of ELMs events, causes of disruption plasma and the different phases of transition plasma from the mode L to mode H. He is co-author over 15 papers published on international journals and conference proceedings; he attended two summer school in Belgium and in Italy and he had attended 5 international conferences, winning the best poster prize at one of them. He has also been collaborating since two years with CCFE (in Oxford, UK) where the JET machine is located and where he is performing research activities and also working as Viewing System Operator (VSO).